There are some types of foods that people are happy to mess around and be creative with and then there are some types of foods that seem to be sacrosanct. I love a good classic, but I also am constantly blown away by creativity in food. Walking down the busy streets of Tokyo, I must exclaim every single minute to Mike about the food and how awesome it is. There are a ton of creative shops doing their own thing here and everything looks so good. The latest ramen craze seems to be spicy ramen. All the ramen shops are doing it. It’s not like they haven’t had spicy ramen before now, but all of a sudden it’s the hot new bowl in town and it seems like everyone is either making a spicy bowl or eating one. I can’t wait until we get back home so we can make our own spicy ramen. But in the meantime, back while we were still at home, one of the last bowls or ramen we made and ate was this chicken tortilla soup ramen. Sounds like it would be kinda weird and at first Mike was a little skeptical, but after the first few bites, we both agreed, it was a keeper. There’s no cute story about how I came up with the idea – essentially one day, at Taco Wednesdays (our favorite taco joints version of Taco Tuesday), I was having tortilla soup and I thought to myself, this is missing something. That something was noodles. 15 minutes of Instant Potting later and boom: chicken tortilla ramen. 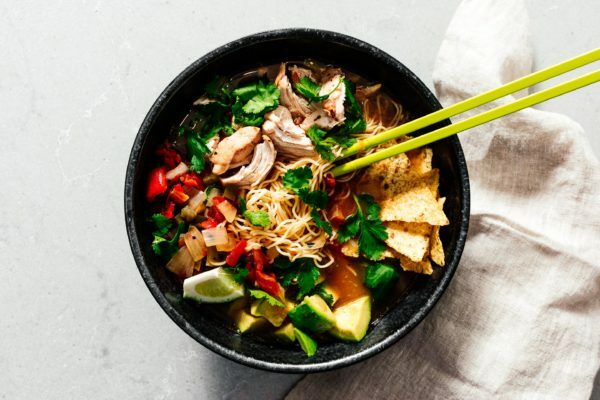 It’s a double soup ramen with super savory fire-roasted tomatoes and chicken broth, tender chunks of chicken (go for thighs, so much more flavor! ), some peppers for spice, a tangle of toothsome ramen noodles, then ALL THE TOPPINGS. Spicy jalapeños, cilantro for freshness, avocados for the creaminess, cheddar for a bit of cheese pull, sour cream just because, and crunchy tortillas, because everyone knows that the crunchy tortillas are the best part of tortilla soup. Squeeze on some lime and you’re golden. 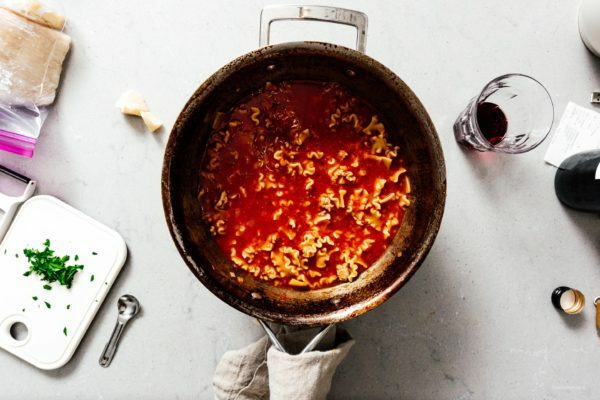 Do this for dinner – it’s a dump everything in the instant pot and eat sort of situation. Noodles for the win! In the Instant Pot insert, add onion, garlic, ancho chile, jalapeño, chicken broth, tomatoes, and chicken. Cook on high pressure for 5 minutes. While the Instant Pot is doing it’s thing, prepare the toppings. Slice the jalapeños, chop up the cilantro, slice the avocado, and cut the limes. Cook and drain the noodles and divide between two deep bowls. When the Instant Pot is done, quick release the pressure. Remove the ancho chile and discard. Carefully remove the chicken and shred. Add the chicken to the bowls with the noodles. Taste the soup and adjust the seasoning with salt and pepper, then divide evenly between the two bowls. Finish with jalapeños, cilantro, avocado, cheddar, sour cream, tortilla strips, and lime. Enjoy hot! Note: If you don’t have an Instant Pot, you can make it in a regular pot on the stove. Add the onion, chili powder, jalapeño, chicken broth, tomatoes, and chicken to a pot and bring to a simmer over medium heat. Continue to simmer until the chicken is cooked through, about 10-15 minutes, depending on the size of the chicken. Continue with the remaining steps. We are back from Japan and I’m not even jet lagged! Must have something to do with the fact that I spent most of the day and night yesterday sleeping, aside for a quick 3 am (dinner time-ish in Tokyo) snack of cheese toast made on straight-from-Tokyo hand carried on the plane shokupan. 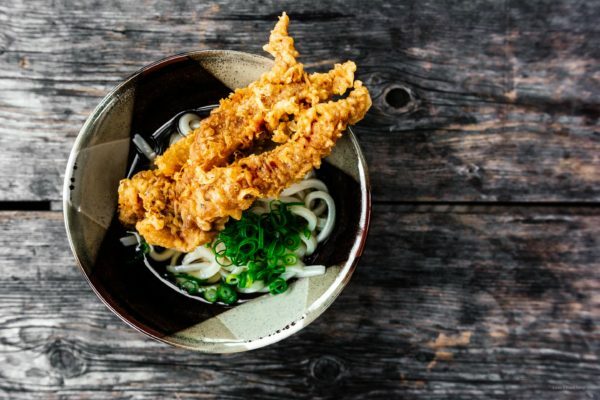 When you think of Japan, do you think of noodles or rice? There’s no doubt that there are a ton of delicious rice and noodle dishes, but maybe what you didn’t know is: Japan really excels at bread. Usually found in perfectly 90° square sided loaves, shokupan, as Japanese white bread is known as, is unbelievably fluffy, soft, and delicious. 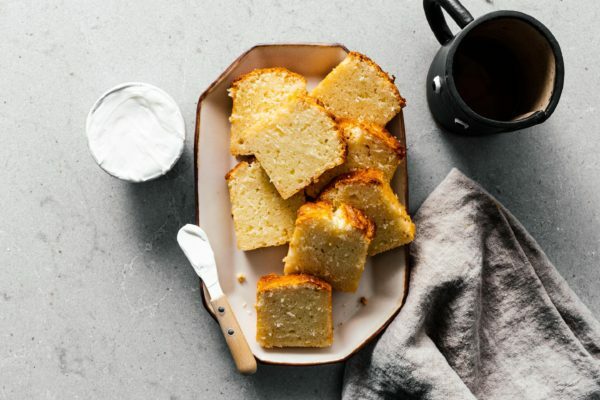 Milky cloud white with a tender crumb, it’s a loaf that will take you right back to childhood, conjuring up the images of the ultimate crustless white bread sandwiches you dreamed of your mom making. Of course, that’s a completely subjective view point – maybe I’m the only one who dreamed of crustless sandwiches made from the softest, whitest bread filled with salty smooth peanut butter and sweet strawberry jam. The truth is, Japan is as obsessed about bread as it is about noodles or rice. While shokupan is plain and unassuming, with none of the texture or intense flavors of sourdough, it makes the perfect neutral canvas, much like a plain bowl of rice. Just like how rice can have nuances, so can shokupan. Bakeries pride themselves on both ingredients and history. Much like how you can judge a French bakery by its baguettes, you can also do the same with a Japanese bakery and its shokupan. 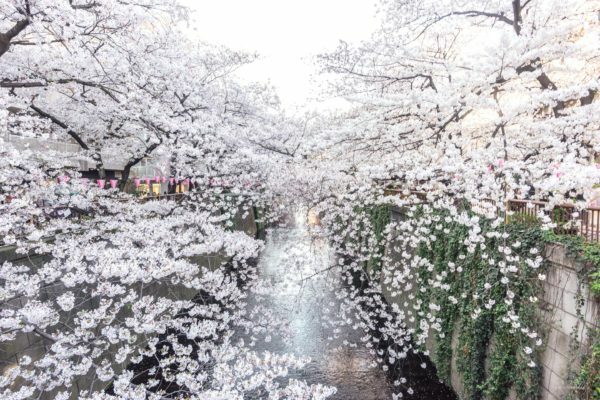 Here are Here arethree of my favorite places in Tokyo to get the fluffy white stuff! Just a heads up though, much like anything that’s popular in Tokyo, there maybe a line, don’t be surprised if there is, and be absurd be excited if there isn’t. Centre the Bakery Center the bakery has a delightful café where you can choose your own toaster. Choose your own toaster! I feel like that sentence is enough to make you want to go there but if you need more convincing, it also happens to be one of the best shokupan bakeries in Tokyo. They consistently have lines and often sell out of their whole loaves, especially their “European” and “American” style shokupan. If you’re not looking to buy a whole loaf, you can skip the long line on the right hand side of the bakery and line up on the left for the café. 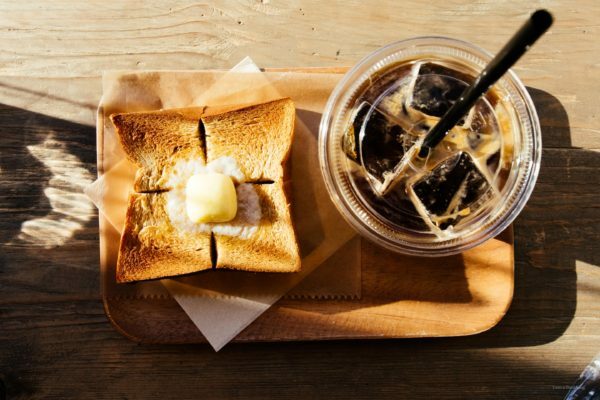 Try the toast set which will give you one slice of each type of shokupan, as well as different butters and jams. 365 Days 365 Days is literally open every day of the year, except for leap year days. The original bakery is near Yoyogi Park, on a side street in a somewhat quiet area. That doesn’t stop them from having long lines of bread fans lining up for their famous crunchy croquant chocolat, a bun filled with crunchy little chocolate bits. 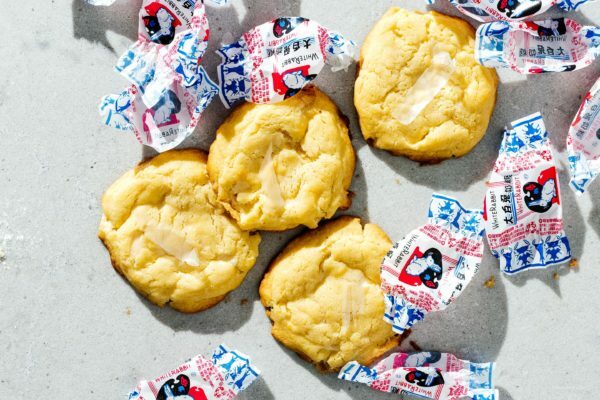 They do excellent mini shokupan that are made with Hokkaido milk – perfect fresh and even better when toasted and slathered with butter. They’ve opened a new store in the more central location of Shinbashi, so there’s no excuse to not go! Pelican Bakery Pelican Bakery has been around for about 76 years and is still going strong. They only make two items: shokupan and dinner rolls. When you visit their little shop in Asakusa, which is more of a mini store front for their baking facility, you’ll see rows and rows of bread lined up, but they’re not for sale – those are preorders that people have called in so that they aren’t disappointed when Pelican Bakery inevitably sells out of bread. They do have some loaves for sale though, so don’t be afraid to pop your head in and ask. And, if you’re not looking for a whole loaf, Pelican supplies bread to many cafes around town and also has their own, just down the street. Get the toast set, which comes with coffee or tea and a thick slab of freshly baked Pelican bread toasted over an open fire. Serious bread goodness. Anyway, I hope this has inspired you to seek out some Japanese bread. It’s truly one of my favorite things in the world to eat. I love it when it’s fresh and fluffy and chewy, just like what you’d imagine a cloud to taste like; I love it when it’s toasted, with a crisp and crunchy layer giving into soft insides; I just love it. It's a shame that not more people know about chile verde, aka green chili, because it's one of the greatest stews ever invented, in my opinion. Smoky roasted green chile peppers and tomatillos and super soft chunky pork shoulder come together to make one of the most satisfying meals you've ever had in your life. This version is super simple, removing everything you don't need and keeping only what you do. It's not the easiest dinner & chill recipe, but it's worth it! Cooking Notes Browning the meat is a completely optional step that you can do while you wait for the peppers to roast, but it's not necessary. You can also do a very lazy job of browning only one side which is what I do. Anaheim chiles are actually Hatch chiles that were smuggled out of New Mexico and planted in California. They don't have anywhere close to the smoky heat that real Hatch chiles have, but they are close enough in the middle of winter. If you can't find either, sub any large green chile, such as poblano or any other pepper roughly 6" long. In a pinch, combine jalapeno and bell pepper. This recipe is for 1 pound of pork shoulder, but honestly Steph and I never find it enough. We double the recipe when we make it for dinner. What do you need? An instant pot, a blender, and a baking sheet. If you don't have a blender, crush the garlic and mince the cilantro to the best of your ability and just throw the rest into the pot, it'll dissolve. If you don't have an instant pot, this recipe will also work in a slow cooker, dutch oven, or regular pot, just double the cooking time. How do you serve it? Serve with tortillas, rice, or just eat by itself. Topping with avocado, lime, and cilantro highly recommended. 1. Preheat your oven to broil/500ºF. Using cooking spray or neutral oil, coat the peppers and tomatillos and roast for 10 minutes, then flip and roast for another 10 minutes. 2. Season your pork with salt and pepper. While the peppers are roasting, with your instant pot on saute high mode, roughly brown your pork shoulder in 1-2 tablespoons of oil. It’s not really necessary to get every side browned. 3. Add the onions. Reduce the heat to saute low and continue cooking until the onions are soft and translucent. 4. When the peppers are done, remove them and transfer just the 3 peppers to a ziploc bag to steam. After they are cool enough to touch (5-10 minutes), remove and peel the peppers. 5. Discard the peels and transfer the peppers to a blender, along with the tomatillos, cilantro, garlic, and a pinch of salt and pepper. Puree and add to the instant pot. Add 1 cup of water to your blender and pulse a couple of times to get the last bits, then add to the instant pot as well. If you like your chili on the thicker side, only add 1/2 cup of water. 6. Cook on high pressure for 30 minutes. Quick release when done. Add the cumin, stir well, and adjust the seasoning with salt and pepper. Top with lime, cilantro, and avocado, and enjoy! I'm a finalist for Best Cooking Blog! Do you love fluffy bread? If so, fluffy bread heaven is in Japan. 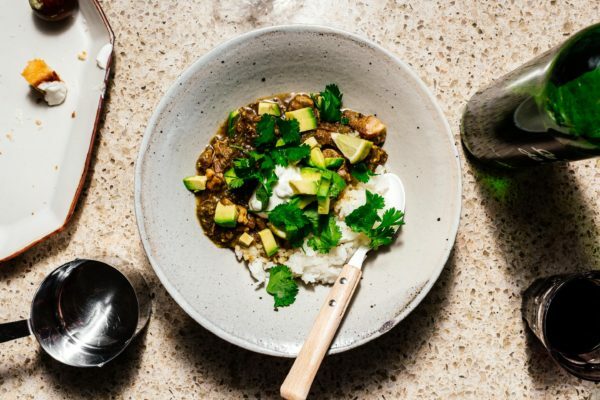 Green chili is the best chili, and this chile verde is quick, easy, and tastes like a million bucks. 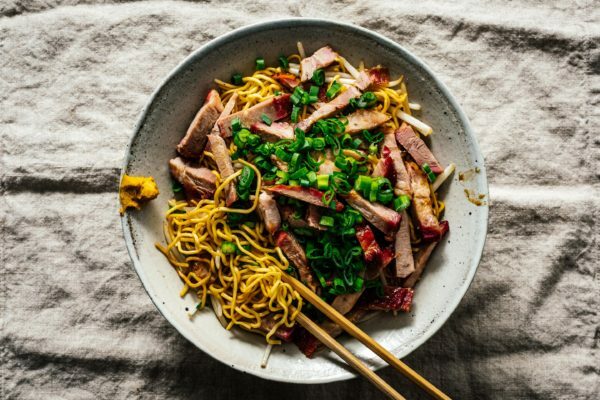 Skip the flight and make these noodles – it’s Hawaii on a plate. 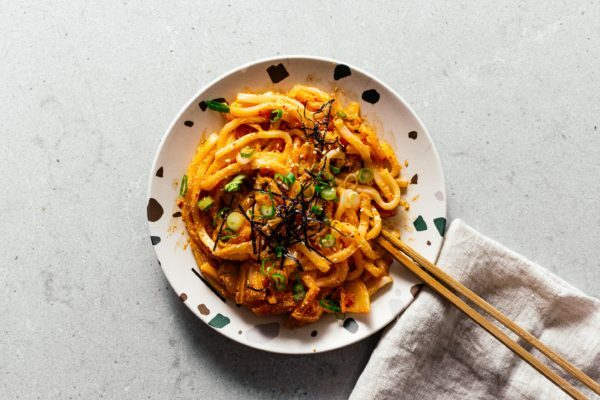 One of the best noodle dishes you could ever make – spicy, tangy, delicious, and dead simple to make. 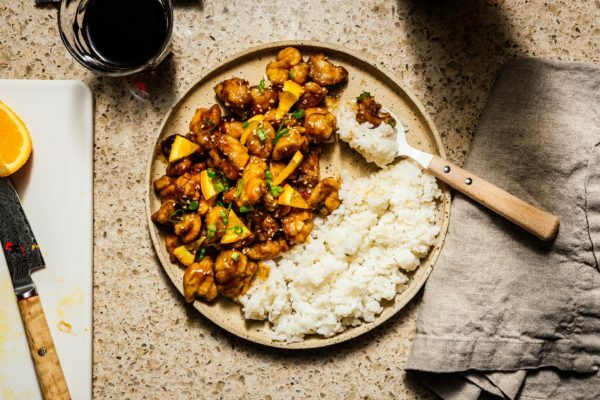 This healthy oven baked orange chicken comes together faster than delivery or running to the nearest strip mall, and is way better for you. A small loaf filled with coconut – perfect for spring! A simple dump and cook one pot stovetop weeknight lasagna. 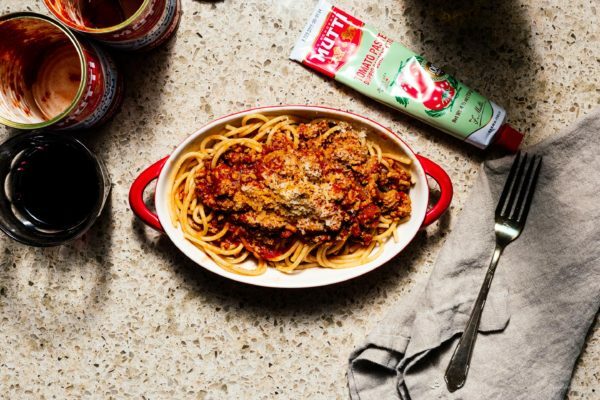 This is meat sauce like the best stuff you remember growing up with, except made with healthy ingredients and tweaked for your adult tastes.